Department of Public Safety Officials worked a two-vehicle accident around 4:00 Tuesday morning on US 271 at Powderly. Paramedics took Christopher “Bubba” Whitley, 33, to the hospital after he slammed into an 18-wheeler. The driver of the 18-wheeler was not injured. Paris Police worked a robbery in the 900-block of Pine Bluff Monday morning around 10:15. Someone had entered the residence that was being remodeled and had stolen a table saw. The report indicated that this is the second burglary that had occurred at this residence in the past week. The first burglary resulted in other tools stolen. If you have information about these burglaries or any other felony crimes, please contact investigators at the Paris Police Department or call Crime Stoppers at 903-785-TIPS (8477). Another theft occurred sometime before 11:00 am Monday morning in the 600-block of NW 4th. A known suspect had used the victim’s debit card. that residence. During the night, he discovered that his keys were missing from his pants and his vehicle, a 2002 gold Buick LeSabre, was missing. The investigation is ongoing. Another burglary was reported in the 1500-block of W. Austin. Someone had entered the house and stole 26 boxes of laminate flooring and a Rigid wet/dry vacuum. 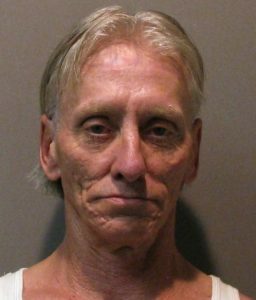 The Paris District Parole Office had police arrest Steven Ray Canida, 57, of Powderly, on a parole violation warrant and two city traffic warrants. During the arrest, officers found Canida with a small bottle of a yellowish liquid believed to resemble urine, and they charged him with falsification of a drug test. Canida is in Lamar County Jail. 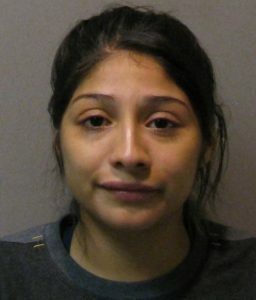 Police located Andrea Leiandra Montes, 21, of Paris, in the 3800-block of Lamar Ave. They placed her under arrest on a Tarrant County warrant charging her with aggravated assault on a public servant. Montes is in Lamar County Jail.